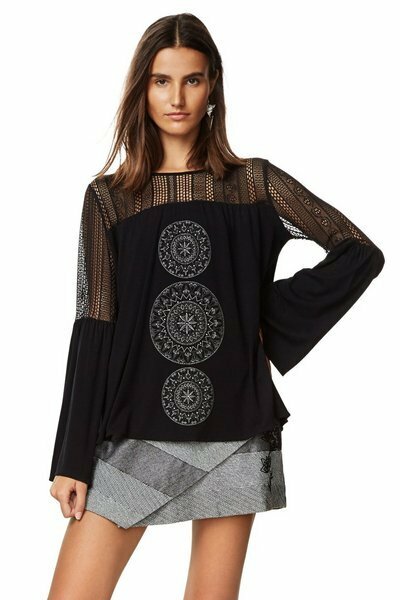 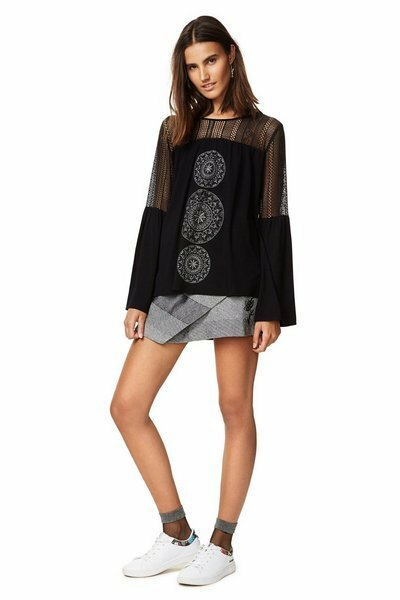 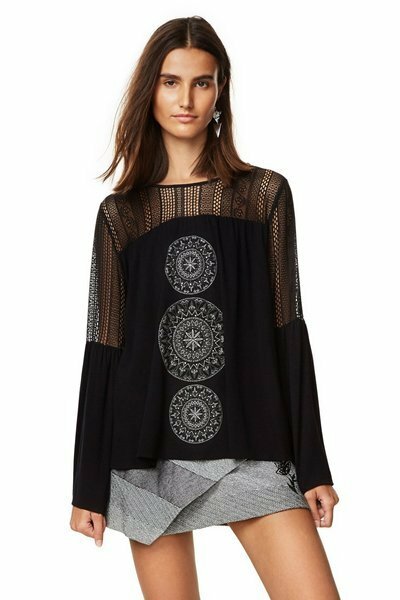 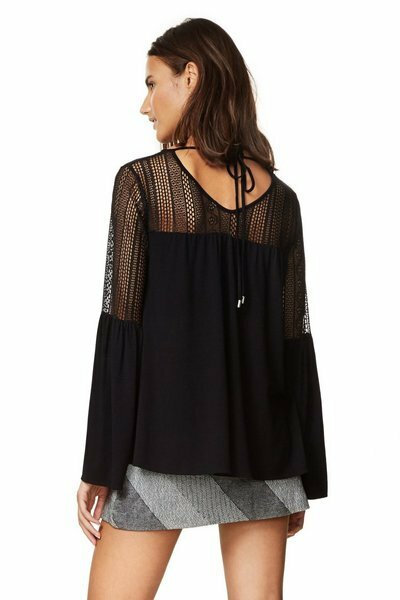 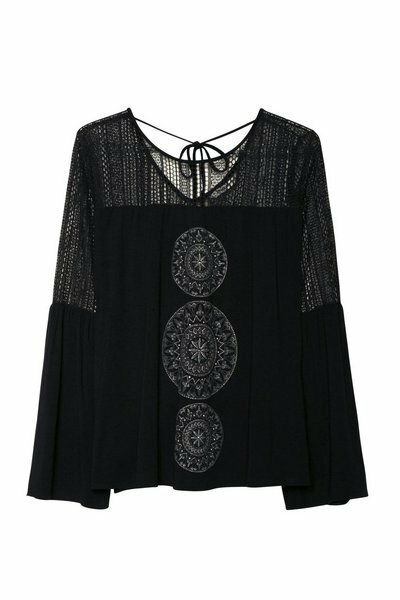 Gorgeous long black top with mandalas design along bodice, crochet neck and arms detailing, long bell sleeves, V back with a tie, easy comfortable fit, stretchy. 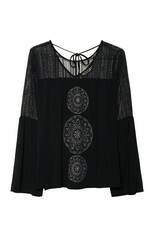 Very elegant and pretty style, indeed! 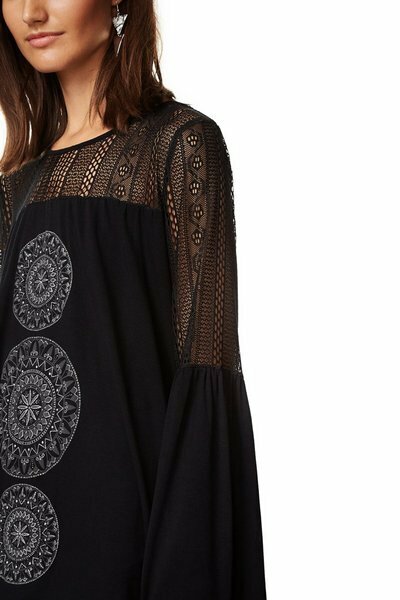 Viscose – Elastane – Polyester.